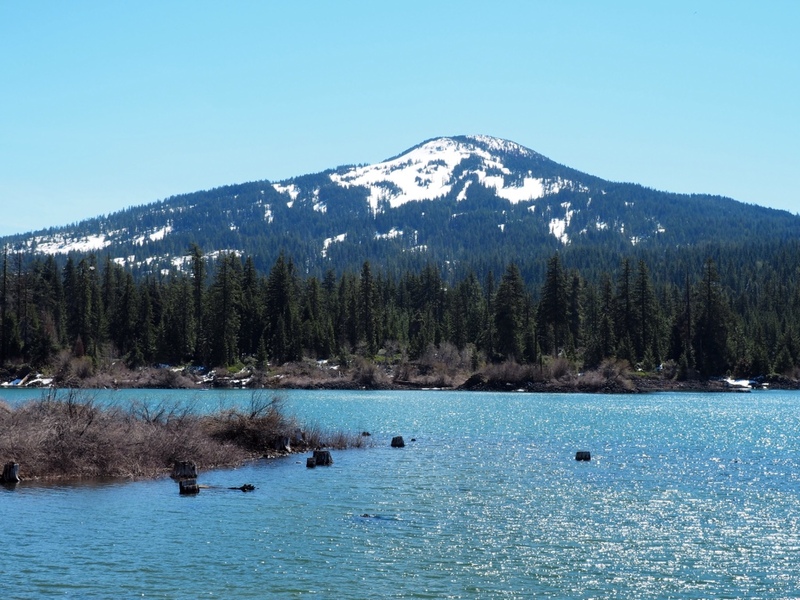 It was a beautiful spring day – a perfect day to take a short drive up into the Southern Cascades. We had plans for lunch at one of our favorite lakeside cafes, but…just our luck… it was closed for spring cleaning and general maintenance. Disappointed, we continued on a few miles more until we spotted a roadside sign announcing “Cafe Open” and directing us to neighboring Fish Lake. 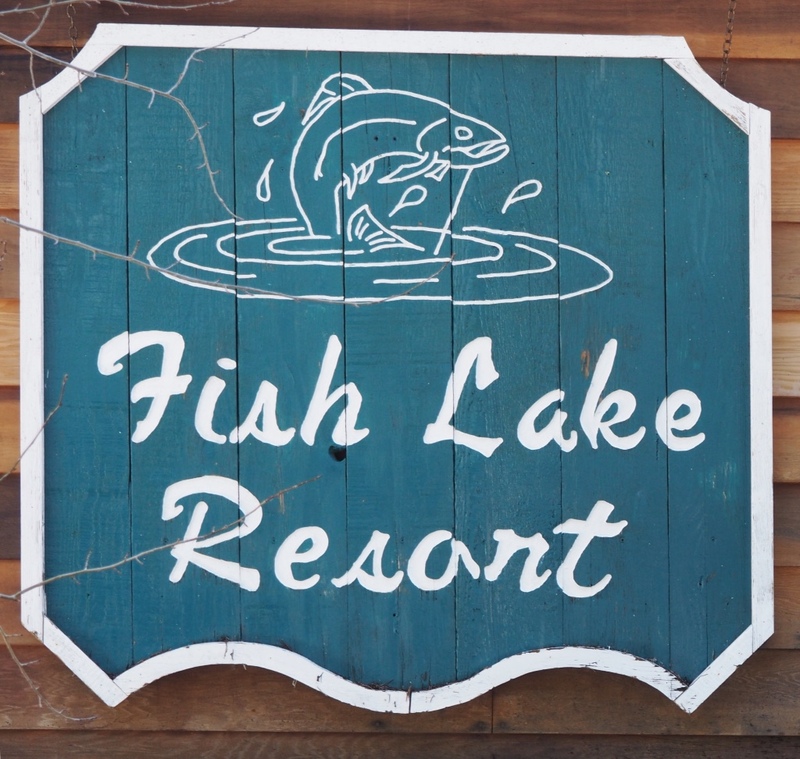 At Fish Lake Resort we found a general store, cafe, dock and campground, all nestled beside the beautiful Fish Lake. Patches of snow still dotted the grounds, discouraging campers, but the cafe was filled with a friendly bunch of day trippers, so we grabbed a table and joined the crowd. A couple of fishermen float past, hoping to catch a prize. 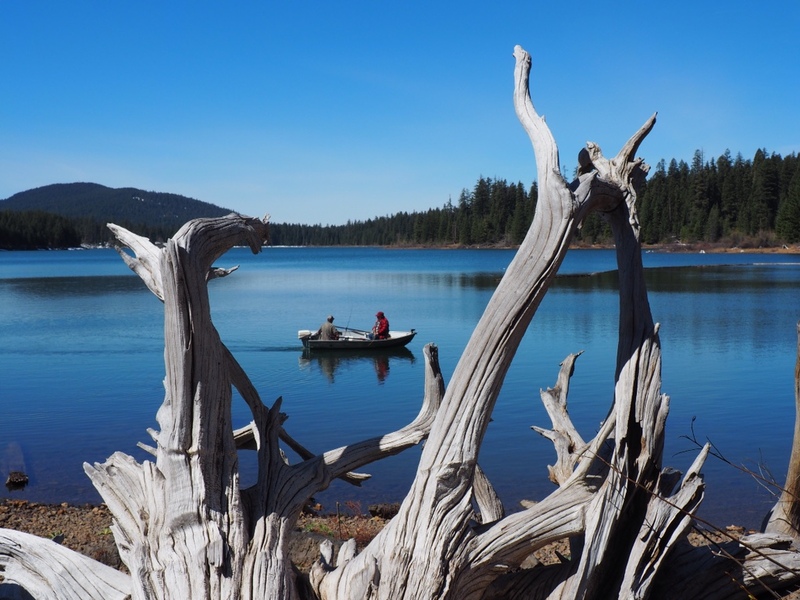 Fish Lake is surrounded by tall pines and mountain peaks. 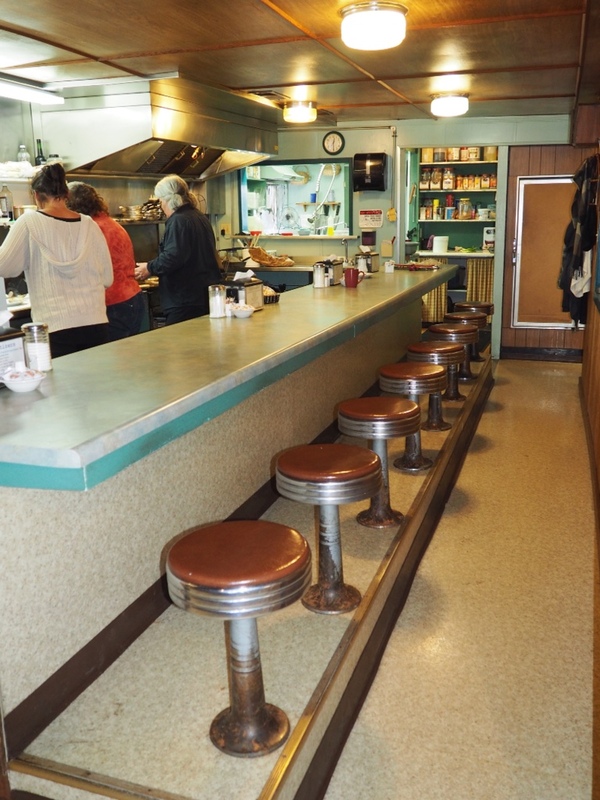 Although there was plenty of seating at the lunch counter, the tables were filled, keeping these three women busy through the lunch hour. Looks beautiful! What a great part of the country you live in! Yes, we are very fortunate! Looks lovely-we want to visit here next time we are up your way. Some great lakeside campsites at Fish Lake!